Mobile devices are now the most common way in which we access the internet. When we break down the number of minutes that we spend online, mobile devices account for a huge percentage of this over more traditional means such as a laptop or a PC. In America, mobiles account for 71% of the time that we spend online and in the UK, this is 61%. In fact, Indonesians spend over 90% of their time online with a mobile device. These numbers are evidence that mobiles are the number one method in which we now access the internet. This has big implications for eCommerce and it has given rise to what is known as mCommerce or mobile commerce. eCommerce essentially changed the way in which we buy things. Rather than going to a physical shop to purchase an item, all we need to do it open up our laptops and browse through literally thousands of products in minutes. mCommerce is changing the face of commerce once again. Shopify conducted a survey that showed just over half of the users who access online stores do so with a mobile device. This shows a dramatic upward trend when it comes to using a mobile to shop online much in the same way that internet shopping broke onto the scene all those years ago. That being said, mCommerce isn’t without its problems. When it comes to actually spending money online, mCommerce still ranks far behind using a laptop or computer. In fact, in 2015 only 15% of people spent money online with their mobile and 85% did so with a desktop or laptop computer. While users are accessing stores online with a mobile device, there does still need to be work done to convince people to spend money with their mobile. Businesses who want to survive in an mCommerce world will need to adapt the way in which they approach the market. Even if they are already successful online there are certain changes that need to be made to adopt an mCommerce model. The big areas that require investment are in mobile app development, responsive ready websites and also encouraging more users to use their mobile to buy products online. 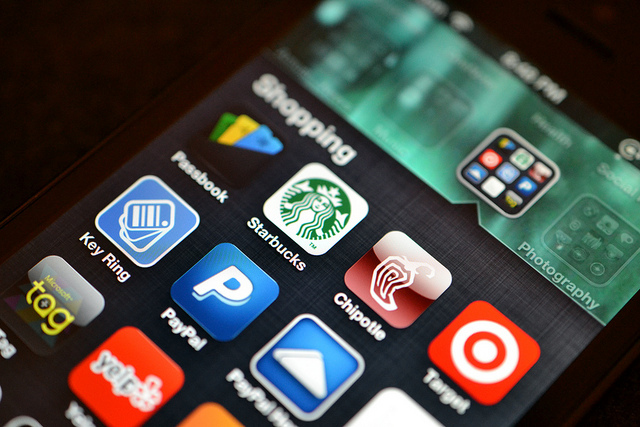 We should see a massive rise in the amount of store specific apps that are produced in the next few years. Users tend to be more trusting when it comes to using an app made purposely for a certain company although while 85% of mobile usage is spent on apps the vast amount of this is only focused on a few apps. The other side of this story is that while mCommerce allows for faster purchases which is good from both sides, it may also lead to more impatience when it comes to product availability and delivery times. This increase in sales is something that many companies will need to factor into their daily operations to ensure that products are not only delivered on time but that customers are retained in the future too. How Does mCommerce Affect Buyers? Users that actually purchase items online are going to be the major beneficiaries of the rise in mCommerce and they are the pioneers of why mobile is changing the face of commerce. The main advantage is convenience and ease of use. Using a mobile to purchase a product is simple, straightforward and isn’t very time-consuming. It can be done on the commute to work, sitting in front of the TV or even at the airport. Commerce is having to adapt to the massive rise in people who are using their mobile devices to look at products online although as we have already seen, there is still a disparity that needs to be addressed between the percentage of money spent through mobiles devices and desktop computers. Commerce has transformed massively in the last 20 years. From the first online store to the rise of internet shopping as standard and now onto mCommerce, things change fast and the industry has to adapt to this. mCommerce is on the rise however there still needs to be change in the commerce world to not only allow it to grow even further but for it to achieve real lasting success.